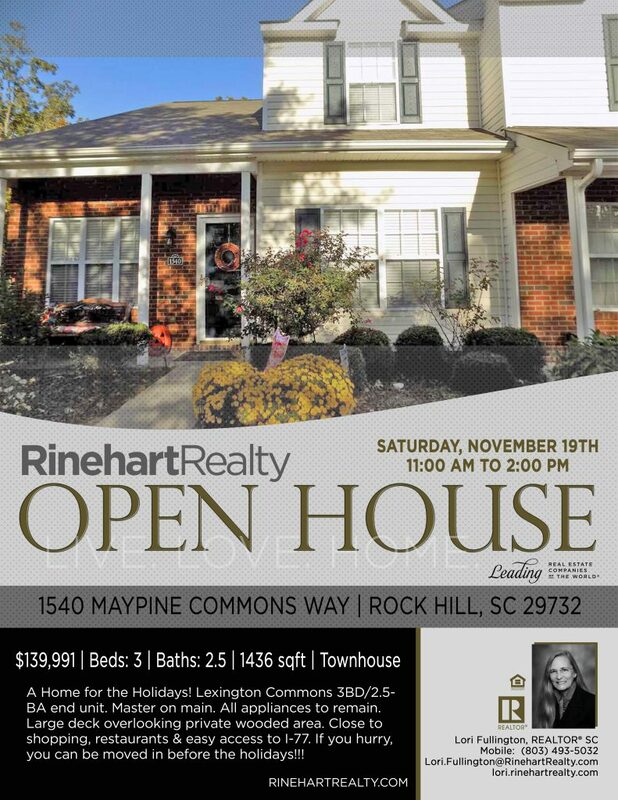 Saturday, 11/19 11:00 AM to 2:00 PM A Home for the Holidays! Lexington Commons 3BD/2.5BA end unit. Master on main. All appliances to remain. Large deck overlooking private wooded area. Close to shopping, restaurants & easy access to I-77. If you hurry, you can be moved in before the holidays!! !